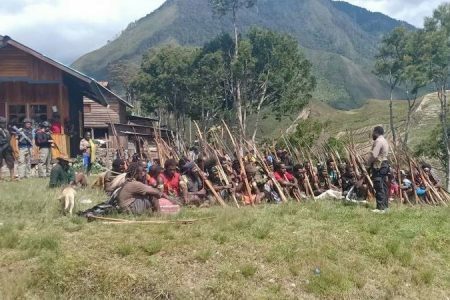 The MSG will deliberate the United Liberation Movement for West Papua’s application, but some worry about angering Indonesia. This week, the Papua New Guinea capital of Port Moresby hosted the 21st summit of the Melanesian Spearhead Group (MSG), the first since June 2015. While addressing a number of regional and mutually consequential concerns, the dominant issue of summit was the potential membership of the United Liberation Movement for West Papua (ULMWP). The MSG was established in 1988 as a forum for cooperation on issues of regional importance to the Melanesian states and peoples. The membership of the MSG consists of the four sovereign Melanesian states — Fiji, Papua New Guinea (PNG), Solomon Islands, and Vanuatu — as well as the Front de Libération Nationale Kanak et Socialiste (FLNKS), a political grouping in New Caledonia that seeks independence from France. Alongside these full members, Indonesia has associate membership status, and the United Liberation Movement for West Papua (ULMWP) and Timor Leste both have observer status. Indonesia’s inclusion in the MSG first as an observer in 2012, then as an associate member in 2015, is based on its claims of having a Melanesian population of 11 million people distributed over five of its 34 provinces. While the provinces of West Papua and Papua are recognized as being regions of Melanesian ethnicity, there remains some debate among anthropologists and linguists over classification of the inhabitants of the Maluku Islands and other parts of eastern Indonesia. Vanuatu, Solomon Islands, and FLNKS all remain staunch supporters of the West Papuan independence movement. 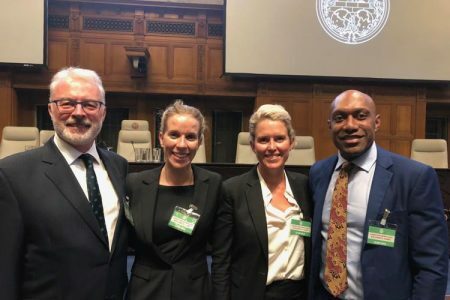 Both Vanuatu and Solomon Islands have used their time at the United Nations General Assembly to highlight human rights concerns, and advocate on behalf of the West Papuan independence movement. The government of Vanuatu recently donated the ULMWP an office building in Port Vila, giving the organization great access to the MSG’s secretariat which is also based in the Vanuatu capital. Fiji and PNG maintain greater political and economic interaction with Indonesia, and have pursued a less forceful posture on the issue than the other two Melanesia states.Regardless of the specifics, the MSG saw the inclusion of Indonesia as a participant in the forum as an opportunity to engage Jakarta on their concerns about human rights abuses in West Papua. Their participation also provided a formal international forum where the Indonesian government and ULMWP are able to hold discussions outside domestic constraints. 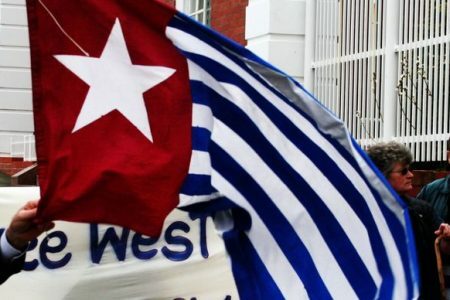 Since both parties have begun attending the MSG, the issue of West Papuan independence has come to dominate the forum’s agenda. Prior to this week’s summit, there was an expectation that the MSG may make the bold move of granting ULMWP full membership to the forum. The participation of FLNKS sets a precedent that organizations which are not sovereign states are able to ascend to full membership in the MSG. The ULMWP have been pursuing this goal since 2013, much to the annoyance of Indonesia which does not wish to give the organization international credibility and increased momentum. Previously, application for membership by the ULMWP compelled the MSG into developing new guidelines that any applicants would need to comply with in order to ascend to full membership. 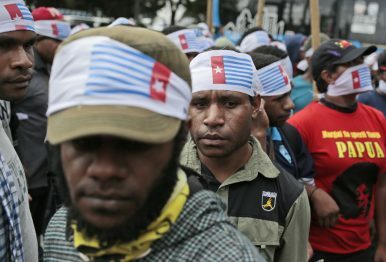 This has resulted in the ULMWP unifying all West Papuan pro-independence groups under the one umbrella organization, reforming its leadership structures to form executive, legislative and judicial operations, and creating formal agendas reflecting the movement’s short-, medium-, and long-term political and social aspirations. As a result of this compliance, ULMWP’s membership application was submitted to the MSG secretariat for deliberation again this week. There has been no timeframe given for a decision. However, during the MSG forum, Prime Minister Charlot Salwai of Vanuatu reminded the forum that the MSG original vision was one driven by desire to achieve decolonization and self-determination throughout the Melanesian region. Salwai thus sent a strong signal that Vanuatu would be pushing for full membership for the West Papuan group. Yet with PNG and Fiji’s reluctance to disturb Indonesia, full membership for the ULMWP may be considered a move too antagonistic towards Jakarta at this stage. However, the potential for ULMWP to be promoted from its current observer status to associate member — putting it on par with Indonesia’s status — may be deemed a more appropriate course of action. This incremental approach could be deemed to still be in line with the MSG’s original vision as stated by Salwai, but prevent a movement that would be too radical by Jakarta.